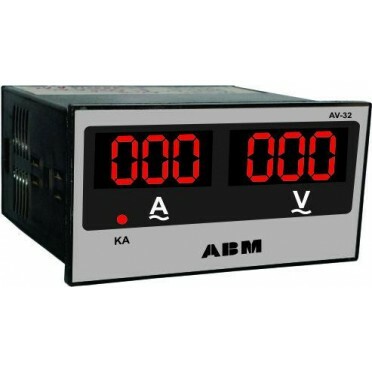 Features & Specifications :Single setpoint, Relay / SSR selectable, Output- Relay/12V DC SSRSimp.. Features & Specifications :Display TypeUpper 4 digit, 0.56 Inch, Red Led Display-Process ValueLo.. Features & Specifications :Display Type6 digit, 0.56 Inch, Red Led Display .. Features & Specifications :Display Type6 digit, 0.4 Inch, Red Led Display .. Features & Specifications :Display Type6 digit, 0.36 Inch, Red Led Display .. Features & Specifications :Set Point4 Set Point, Forward, Stop, Reverse, Total TimeOutput 2-Rela.. Features & Specifications :Display : 4 digit, 0.56 Inch, Red Led DisplayPower Supply : 230V AC 5.. Features & Specifications :Description : Star-Delta TimerModel : 900 SDOutput Contracts : 1 C/O ..